Organic Hot Wheels — Eat Me Drink Me | Food, drink and event experts in West London and beyond. 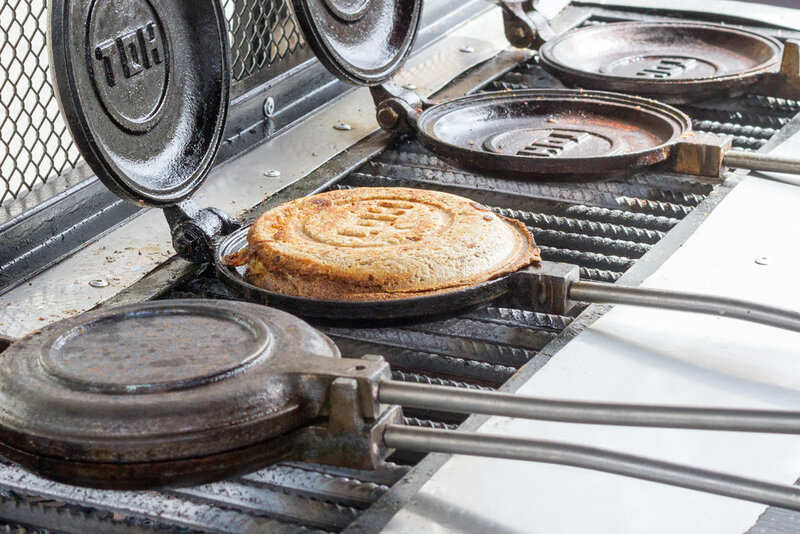 Imagine locally sourced organic bread, layers of perfectly roasted meat and fresh veggies topped with plenty of cheese, then sealed inside tight iron castings and grilled over an open fire. There you have the deceptively simple, but entirely unique Organic Hot Wheels. Owners Ania and Luka use delicious ingredients like roasted eggplants, balsamic-glazed beetroots, caramelized onions, crunchy candied walnuts, slow-cooked pulled pork, tender roast beef, minced lamb, and Gruyere, Stilton, Cheddar and Mozzarella cheeses to create different flavour combinations that will keep you coming back to try more.